You probably have come across many websites that let you install browser extensions without ever going to the official Chrome web store. 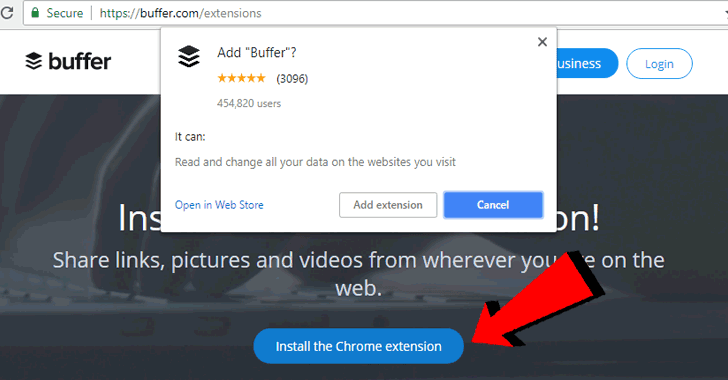 It's a great way for users to install an extension, but now Google has decided to remove the ability for websites to offer "inline installation" of Chrome extensions on all platforms. Google announced today in its Chromium blog that by the end of this year, its Chrome browser will no longer support the installation of extensions from outside the Web Store in an effort to protect its users from shady browser extensions. "We continue to receive large volumes of complaints from users about unwanted extensions causing their Chrome experience to change unexpectedly — and the majority of these complaints are attributed to confusing or deceptive uses of inline installation on websites," says ​James Wagner, Google's extensions platform product manager. Starting today, the inline installation will no longer work for newly published extensions. Starting September 12th, the company will disable the inline installation feature for all existing extensions and automatically redirect users to the Chrome Web Store to complete the installation. By December 2018, Google will also completely remove the inline install API method from Chrome 71. Developers using one-click install buttons on their websites are advised to update their links to point to the Web Store. Since users' comments, reviews, and ratings for a specific extension on the official app store play an essential role in giving other users an actual overview about its functionalities and issues, forcing users to land on the app store would definitely improve the Chrome experience for all. "The information displayed alongside extensions in the Chrome Web Store plays a critical role in ensuring that users can make informed decisions about whether to install an extension," Wagner explains. "When installed through the Chrome Web Store, extensions are significantly less likely to be uninstalled or cause user complaints, compared to extensions installed through inline installation." It should be noted that you will still be able to run the extensions you use today, whether downloaded from third-party or the official web store.